Anchor Retired and Lighthouse Still Working. As so many lakeside studies, there is a seagull in the picture. Working in ink, it is difficult to capture a good likeness of the busy birds. 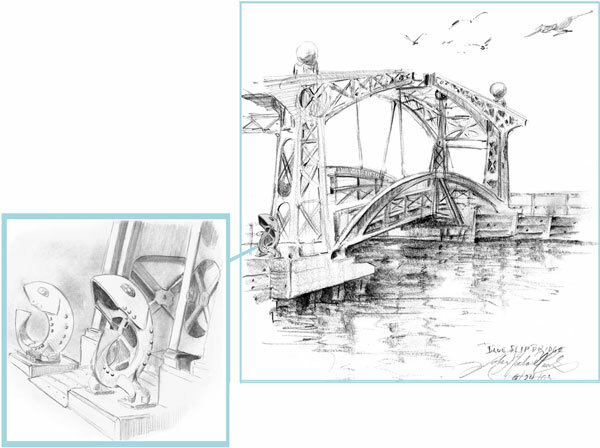 Duluth has many opportunities to capture these birds, and much added scenery with lighthouses, bridges, and lakewalks. So, one must work out the seascape-landscape aspects and add a bird in, making sure that it will go into the background as erasing in ink is not possible. If you are not feeding the birds, you must wear a hat. 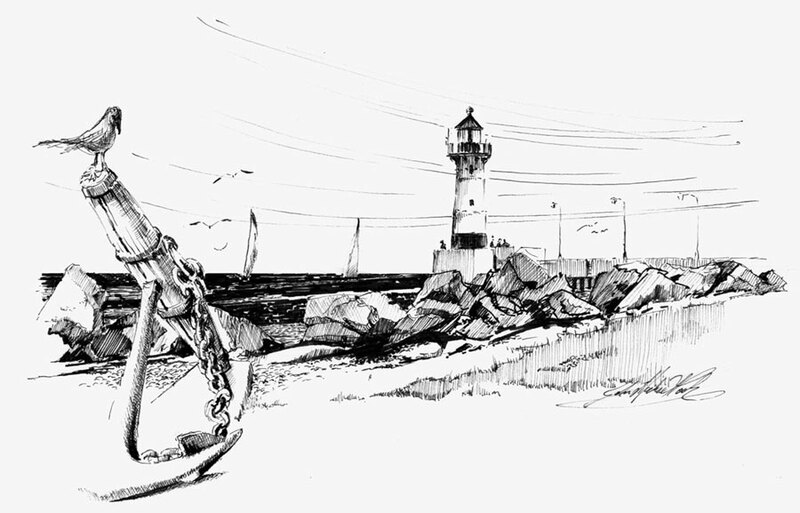 This entry was posted in Duluth Mn., Pen and Ink and tagged anchor, Duluth Mn., Lake Superior, Lake walk, lighthouse, Original Minnesota art, pen & ink, Seagulls on March 17, 2013 by eightdecades.